Tuesday, November 20, 2018 |5:30 to 9:30 PM| Station 20 West, 1120 – 20th Street West FREE EVENT, SUPPER INCLUDED – REGISTRATION REQUIRED The theme of this year’s gathering – “Connecting … Continue reading. 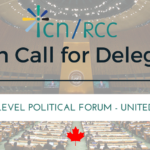 Seeking 2 Civil Society and 2 Youth Delegates for Canadian Delegation to UN (July 17-19, New York). DEADLINE FOR APPLICATIONS: Tuesday, July 4 at 5 pm PST Global Affairs Canada has … Continue reading. The Inter-Council Network (ICN) commends Global Affairs Canada on the launch of Canada’s new Feminist International Assistance Policy (IAP). 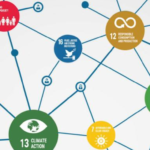 As a network representing nearly 400 civil society organizations (CSOs) from coast to coast to coast, the ICN appreciates the many elements… Continue reading. 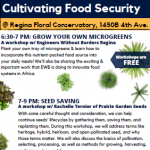 SATURDAY JUNE 17, 2017 @ 9:00 AM – 4:30 PM SASKATOON, Station 20 West, 1120 20th Street W. Register Here The theme of this year’s gathering – “Building Relations: Local and … Continue reading. We are thrilled to share the following funding announcement, and look forward to sharing more information as it becomes available. 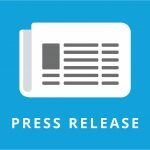 FOR IMMEDIATE RELEASE: Wednesday, May 10 Federal Government Announces Renewed Partnership … Continue reading.